Hummingbirds are the gems of the tropical forest, exceeding each other in splendor. Here they hover on vintage tiles in a pastel composition, that is ornate and sober at the same time. 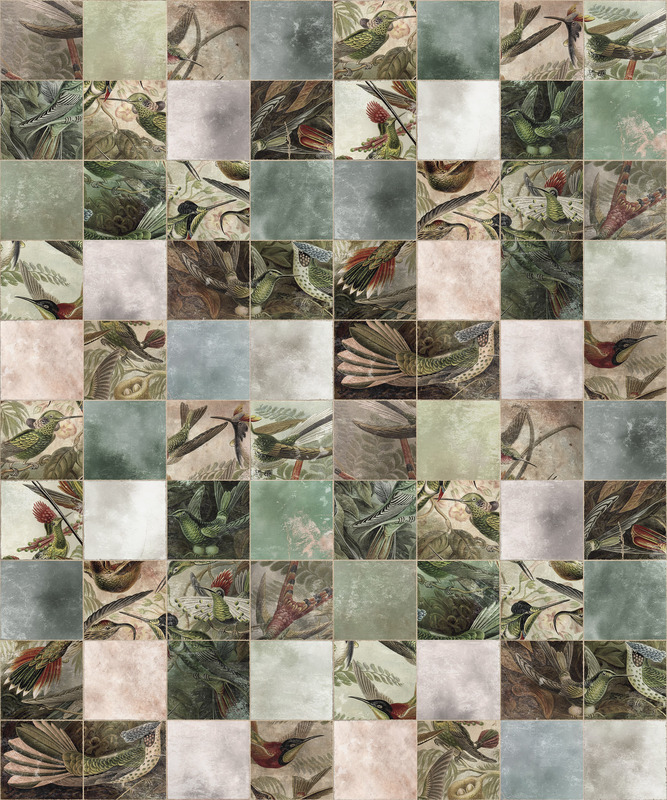 The tiles, seemingly still warm from sunlight, will add a bit of the hummingbirds' dazzle to a room, as if we're sitting on a tropical patio.